Offering print heights from 10mm to 51mm, at resolutions of 128 to 256dpi combined with industry leading cost of ownership. 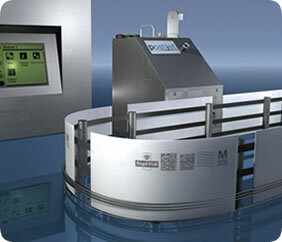 The original innovation that continues to lead the way in high-speed high-resolution inkjet envelope communication. The 550/560 series printers are ideal for two sided or dual zone printing, featuring a separate controller that can incorporate two independent print-stations. Specifically designed to perform in the challenging postal environment.